American chemist, musician, college professor, industrialist and philanthropist, Arnold Orville Beckman is known for his scientific instruments. These include the electronic pH meter (a device for measuring acidity) and a variable resistance device called a Helipot®, which developed the study and understanding of human biology. 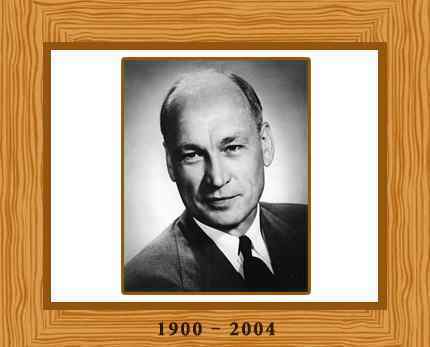 His invention of the pH meter led to the formation of Beckman Instruments. He also funded the first silicon transistor company, thus giving rise to Silicon Valley. Born in Cullom, Illinois on April 10, 1900, Beckman was the son of a blacksmith. His interest in science developed at the age of nine, when he found a chemistry textbook in the attic and began doing the experiments. He also became interested in music at a young age. While in his teens and during his college days, Beckman played the piano. He formed his own dance band and also accompanied the silent movies at the local theater to help finance his family and education. Beckman attended the University of Illinois, where in 1922 he completed his degree in chemical engineering. The following year he obtained his masters in physical chemistry. He started a PhD program at the California Institute of Technology (Caltech) in Pasadena in 1924, but decided to return to New York to be with his fiancée, Mabel Meinzer. They married in 1925 and returned in Beckman’s Model T to California. There, Beckman completed his PhD in photochemistry at Caltech in 1928. The same year he became a member of the Caltech faculty and taught chemistry from 1929 to 1940. Beckman’s interest in electronics and his ability in designing measuring instruments made him very popular within the chemistry department. With the approval of Robert Millikan, Caltech’s president, Beckman began accepting outside consulting work. One of the clients, Sunkist was having problems. Sunkist wanted to know what the acidity of a certain product was at any given time. The methods then in use, such as litmus paper, were not working well. To solve the problem, Beckman built the first commercially successful electronic pH meter (originally called acidimeter) in 1935. Beckman formed the National Technical Laboratories (NTL) Company and began promoting the acidimeter through scientific-supply catalogs. His direct involvement with his company spanned a period of almost fifty years. He continued with inventing and building scientific instruments, including the Beckman DU ultraviolet spectrophotometer (1940) and the Beckman IR-1 infrared–visible spectrophotometer (1942). His company changed its name in 1950 to Beckman Instruments, Inc. After he retired in 1983, Beckman focused on charity work. He established several foundations and contributed huge amounts of dollars to scientific study and education. He was given esteemed honors and awards for his accomplishments. In 1987 he became the 65th inductee into the National Inventors Hall of Fame in Akron, OH, and in 2004 he earned its Lifetime Achievement Award. In1988 he won the National Medal of Technology. The following year the former American President, George H. W. Bush presented Beckman the National Medal of Science Award. He died on May 18, 2004 at Scripps Green Hospital in La Jolla, California aged 104.